After an amazing gig last night for the EFG London Jazz Festival, LUME decamps to The Harrison for our last gig of the year. We are very pleased to welcome Alex Roth’s Otriad. In 1941, three Jewish brothers went into hiding in Poland’s Naliboki Forest to escape capture by the encroaching Nazi troops. By the end of the Second World War, they had led over 1,200 other Jews to safety, establishing a tight-knit community that resisted the Germans on one side and their co-operating Belarussian forces on the other. The Bielski Otriad, as the group became known, defied the fate of so many of their kind by refusing to give up hope even under the bleakest conditions. It is this strength of community spirit that inspired the formation of Alex Roth’s Otriad, itself centred around three brothers of Polish-Jewish ancestry. Nick, Alex and Simon Roth (playing saxophones, guitars and percussion respectively) grew up to the sound of their mother’s violin and piano, quickly taking up the instruments that would eventually allow them to develop a unique musical understanding together. This three-way dynamic has been pivotal to each of their careers thus far, forming the core of several groups along the way (including the ten-piece electro-acoustic chamber ensemble Sefiroth). Otriad is completed by two musicians whom Alex has met through studying for his MA at the Royal Academy of Music: James Opstad, who has been the bassist in Alex’s trio (with Simon again) since 2010, and saxophonist Joe Wright (half of the electro-acoustic improvising duo Wright/Roth, which has been active for over a year now). Alex’s music for Otriad is an expression of the relationships that have formed between these five musicians, moving between folk-like melodies, free-form improvisation, electro-acoustic soundworlds, complex rhythmic structures and richly evocative harmonies. See you at the Harrison, 28 Harrison Street, Kings Cross, WC1H 8JF. Doors 8pm, music starts from 8.30pm. Entry £5. This entry was posted in Uncategorized on November 22, 2013 by deebyrne. 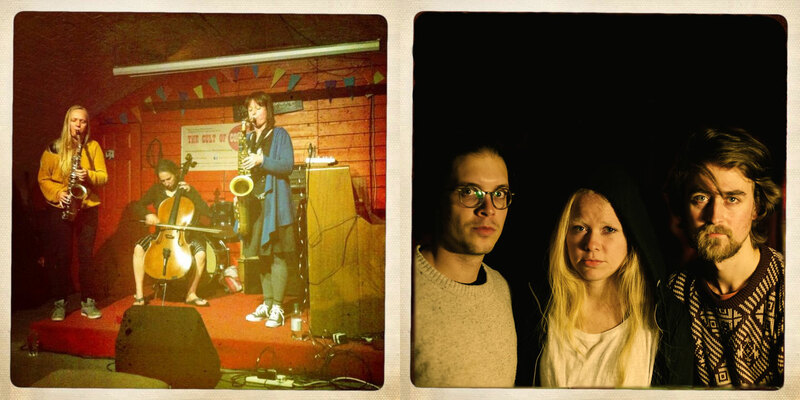 For this special LJF gig, we will present a double bill of our own bands: Quadraceratops and Entropi. Doors 8pm, music 8.30/8.45pm. £5 entry. We’d love to see you there, partly also to celebrate running the gig for nearly five months! Dee Byrne put the group together while studying at Trinity College of Music in 2010, and they explore her growing repertoire of original music. Expect heavy grooves juxtaposed with outbreaks of swing, tight arrangements framing open-ended improvisation, abstract harmony mixed with melodic departures. This will be an intergalactic evening of space sonics! Cath Roberts formed Quadraceratops while studying for a Masters at the Guildhall School of Music and Drama in 2011.The band supported Get The Blessing at Camden’s Jazz Cafe as part of the 2012 London Jazz Festival. 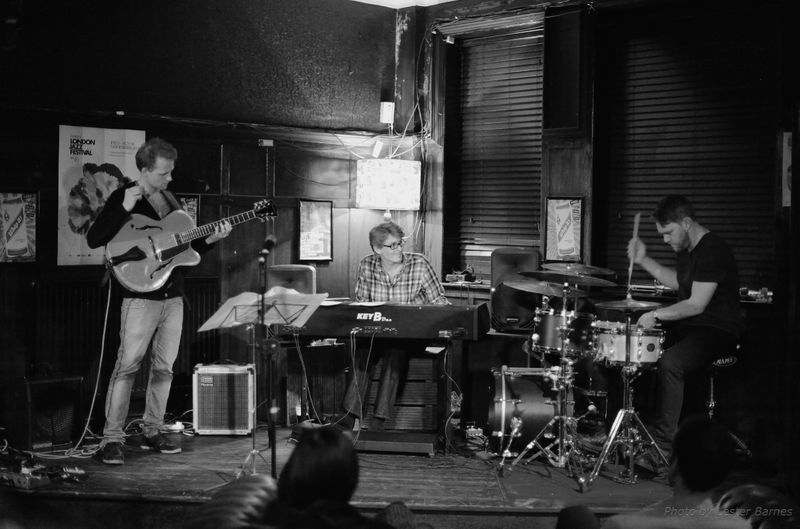 In June 2013, they played at Jazz In The Round @ The Cockpit hosted by Jez Nelson of BBC Radio 3′s ‘Jazz on 3′ programme. 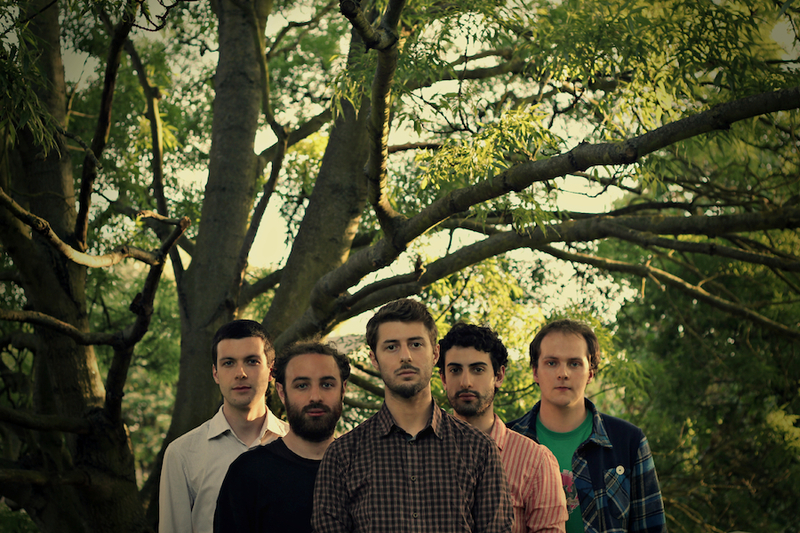 A few months later they appeared at the Vortex Jazz Club for the first time, playing at ReDiViDeR’s ‘I Dig Monk, Tuned’ album launch gig in September 2013 (presented by Match & Fuse). The current set of music is inspired by insects, fairground rides, underground tunnelling machines and fictional serial killers. This entry was posted in Uncategorized on November 16, 2013 by cath. Trio Riot formed in Helsinki in 2009, since the they have performed across Europe including dates in Finland, Sweden, Denmark, Norway and England. Stylistically, the band relate their sense of energy to the 1980s British punk scene, their approach to sound is inspired by Ornette Coleman and other free jazz pioneers and in their compositional style the group draws inspiration from 20th century contemporary music. With pure performance energy they manage to pull these disparate influences together into a compact and hard hitting musical concept. As usual, doors at 8pm, music about 8.30/8.45pm, and it’s £5. Join us for an evening of improvised music at Hundred Crows Rising! This entry was posted in improv, joy, saxes on November 8, 2013 by cath. The warmth and presence of the classic organ/guitar groups are heard alongside new textures and stylish improvising. Compelling grooves and melodic clarity invite the listener inside one of the most exciting sounds in Jazz today. Acrobat is closely connected with the newly formed SE Jazz Collective, indicating its position as part of the exciting and constantly evolving new jazz scene in London. Recorded at Whippet Studio by Jules Jackson, the new EP showcases some of the original material Acrobat has been performing over the past year. This entry was posted in Uncategorized on November 4, 2013 by deebyrne.